While conducting focus groups recently in Beijing, I was showing a clothing line to respondents in order to understand design preferences – look, feel, color, and other attributes that can help distinguish brands in a highly fragmented and saturated market. The line-up of clothing included a seemingly innocuous number of hats primarily used for outdoor activities. For some reason, the respondents never chose the hats, most of which had green in them or were wholly green. The initial mistake was that the client selected product that had previously sold well in the US and Europe without regard to the distinct preferences of the Chinese market. Although they included some local product in the research (not hats, however), most of the clothing was literally carried in a large suitcase from country-to-country – a nightmarish process in and of itself when considering the customs requirements. Then, during the third focus group, a respondent said something curious… “I would like to have the hat, but it’s green, and no one in China wears a green hat.” Needless to say, the backroom – full of mostly Westerners – erupted with gasps confused looks. Their Chinese counterpart, who had been with us the entire time, blithely confirmed the comment. Apparently, green hats are “taboo” in China. 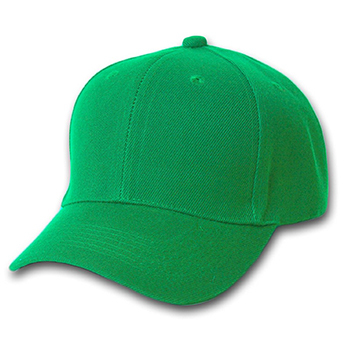 In Mandarin, the words for “green hat” sound remarkably similar to the Mandarin word for “cuckold”. The reason the Chinese – men in particular – don’t wear green hats is because it’s a symbol that your wife is unfaithful to you. If you wear a green hat, rest assured that you will be mocked (well, maybe not to your face, but there will certainly be snickers behind your back). In fact, hundreds of years ago family members of prostitutes were required to wear green hats – a stigma on their family reputation then, and an enduring cultural norm today. Unfortunately for my client, this wasn’t just an issue of not understanding the Chinese market. This was an issue of not fully enrolling their Chinese partners. The fact that their corporate partner – a native Chinese working for the company and living in Shanghai – was in the backroom and confirmed the taboo suggests that she was not consulted on the research stimuli. Complicating the issue was the fact that culturally, the Chinese are rather accommodating and non-confrontational with their Western business counterparts. While she clearly knew that green hats are never worn in China, she allowed her Western counterparts to test what they wanted out of fear of being disrespectful. The real enemy here is hubris. Although that sounds harsh, I don’t mean it in a pejorative way. In part, it’s just who we are. Westerners – and Americans in particular – are frequently (and culturally) self-assured and confident in our opinions. We believe that if it works for us, we can find a way to make it to work for everyone. We casually remind ourselves that we had great success in the US and we simply need expand overseas. We rationalize that our product is better than our competitors, and China just needs to see how great we are. We don’t mean to be so confident… we were just born that way! What does this mean for you doing research and business in China? Two things: 1) don’t assume that what works in your country will work in China (in fact, assume the opposite); and 2) aggressively enroll the local team at the early stages of the product development and research process. While this may sound easy, I’ve seen countless clients think that they’re doing it, but they really aren’t. Surprisingly, the harder part may be enrolling the Chinese organization. It is not merely enough to ask if they agree with you. Being non-confrontational means they may say “yes” when they want to say “no”. Rather, this is about establishing relationships, asking them to put forward ideas (instead of just reacting to yours), and empowering the local organization to take the lead on what is to be tested. This is not to suggest that the Western team should abdicate all responsibility or avoid testing Western product; rather, it means ensuring that the local team, in effect, has “skin in the game”. But choosing the best research partner means little if you’re company is not willing to build the relationships with your own colleagues up-front. If not, your product and your business may be a “no go” in China.